Beginners students should expect to learn first position chords, picking, strumming, scales and arpeggios as well as popular music. Intermediate and advanced students will have the opportunity to play in our band program and move up through our next level of skills. 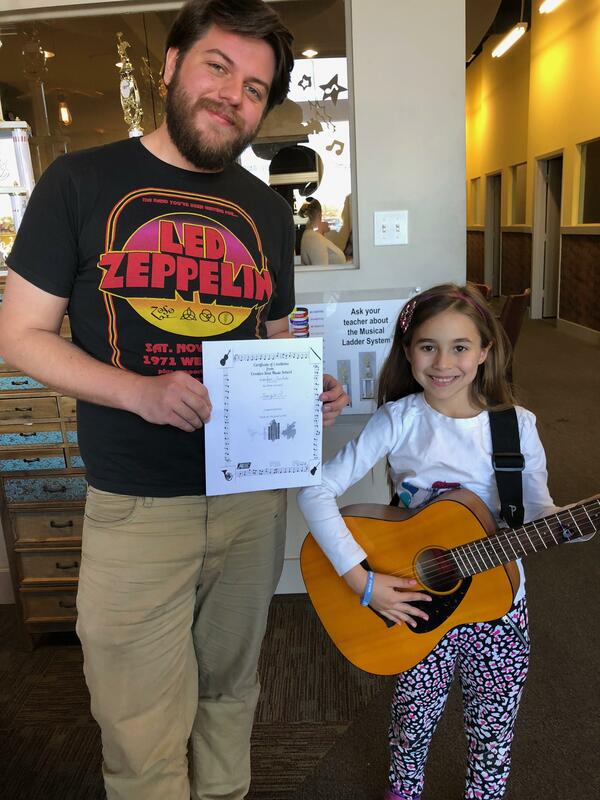 Guitar lessons offer the benefit of additional songwriting and composition techniques as they advance through time here at Creative Soul. They can play in our group classes called our Student Bands. Performing as a group is an important part of the accountability process as well as just having a blast. In the past, the was a “no pain, no gain” philosophy regarding guitar technique. But thanks to physical medicine and the study of ergonomics that philosophy is no longer valid with guitar technique. Creative Soul instructors have been trained to use a contemporary technique that facilitates good development while playing all styles of music.